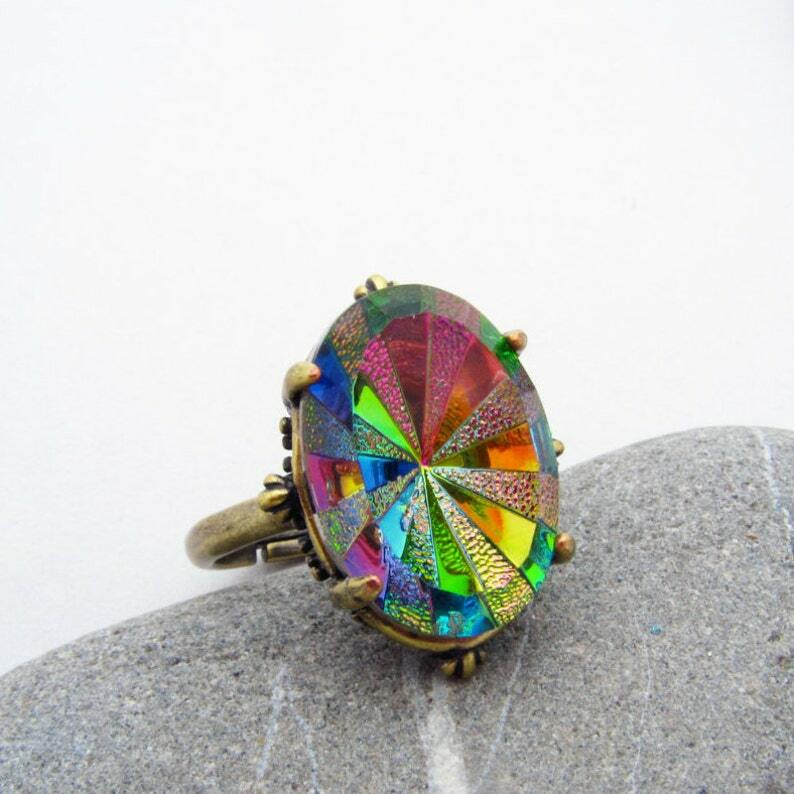 This gothic style carnival glass ring features a faceted vitrail glass stone. It shimmers and shifts color when you turn it. 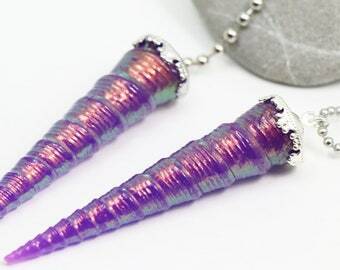 The stone is a vintage style glass cabochon with a textured sunburst effect. The 18x13mm glass cabochon is set in a high quality setting of antiqued brass. The band of the ring is adjustable.